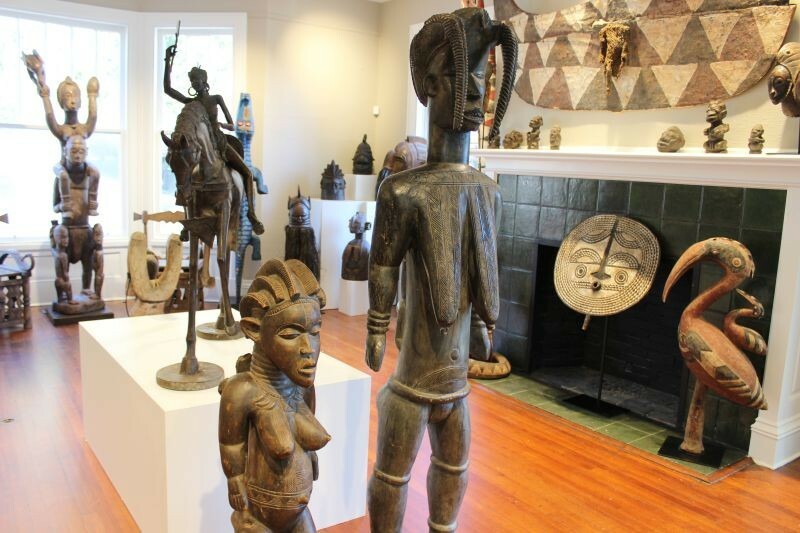 LOVERS OF African art and history will rejoice at the Savannah African Art Museum’s grand reopening. The museum reopens Feb. 1 at its new location, 201 E. 37th Street. 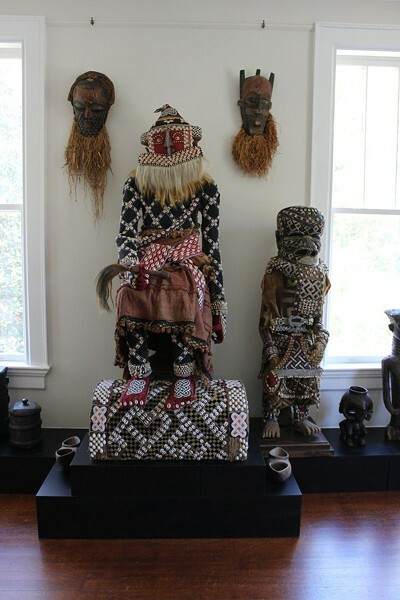 The collection of over a thousand artifacts, all collected by Don Kole, spans 22 countries. The new location is an old antique market situated on the corner of 37th and Abercorn. Better yet, its onsite parking and handicap-accessible entryways make the museum a place for everyone to enjoy. 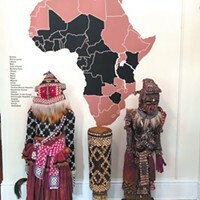 The Savannah African Art Museum’s reopening coincides with the first day of the Savannah Black Heritage Festival, which celebrates 30 years of Black history, art and culture. Barbara Essig is the Education and PR Coordinator of the museum. Essig gave Connect a tour around the new facility and shared some facts about the museum and the importance of African history. How long has this transition taken? Essig: We’ve been open since 2016, located on 34th Street, and we started receiving visitors in 2017 and 2018. Then immediately, we discovered [the museum] was so well-received that we couldn’t accommodate everything. Mr. Kole has been collecting for over 30 years. He’s getting most of his artifacts from one trader or vendor that goes back and forth to Africa. The way they developed this relationship is that people ibn the different villages needed to build schools, hospitals, and get medical supplies. When they’re finished using [the artifacts] and they’re old, they bury them. In the tradition of the culture, once they’ve been used, it’s one generation to the next. They start creating new artifacts. 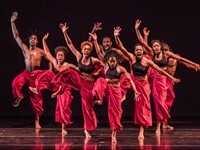 This is a place where art and culture comes together. 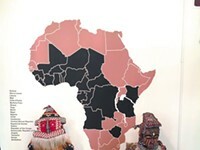 It brings to our visitors an education about the people and cultures of Africa. Essig: I was introduced to Africa through [learning about] the slave trade. You learn that aspect of history and how we engage with Africa. Sure, that was a very important part, because of course it used indentured servants and slaves, but you didn’t really get a sense of what Africans did before they were slaves. Right, because Africa has such a rich history. Essig: That’s what this museum represents. It represents the spirituality and customs and artistry of the people who were the first people of all civilization. In their civilization and culture, they developed rituals that were religious, they had rites of passage, and they did things to honor the earth. Everything they did, they realized that, if we have to hunt to maintain a living, let’s make sure we honor those animals. They kept parts of the animal—you’ll see lots of teeth. When Mr. Kole saw the art, he saw the importance of the culture and why these people made artifacts out of animal skins to celebrate their ancestors. The whole mission of this museum is to bring a conversation about the culture to educate people. This is more of a community institution that is here for education. 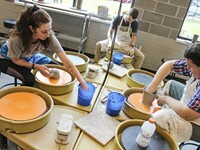 How do you incorporate education into the museum? Essig: What I discovered in the state of Georgia is that every 7th grader has to study Africa and Asia. Half the semester, they do Africa. It’s part of the state standards. So what I did as an educator is I said, “We need to partner with the schools so we can bring every child who’s in the public school system in.” Can you imagine how powerful your learning is when you can come and see? That’s how our popularity blew up—bussing kids in. Then we realized the kids in wheelchairs couldn’t get around in the old building. Mr. Kole really pays attention to things like that. We tried to expand and build on the old building, but the city would put stops on it—it’s a lot involved. So, we got this building, and we have the whole corner. What’s so nice is we have handicap access from the outside all the way in, and then we have elevators. Those are the things you learn through trial and error. Mr. Kole said we have to become a nonprofit, so we do all the requirements for those. 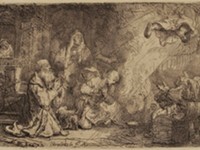 And we realize now that we have the tour companies who bring groups in, we have to be able to accommodate them, so we have to train our docents—we can’t just say whatever we love about these pieces! We have to be trained and educated. 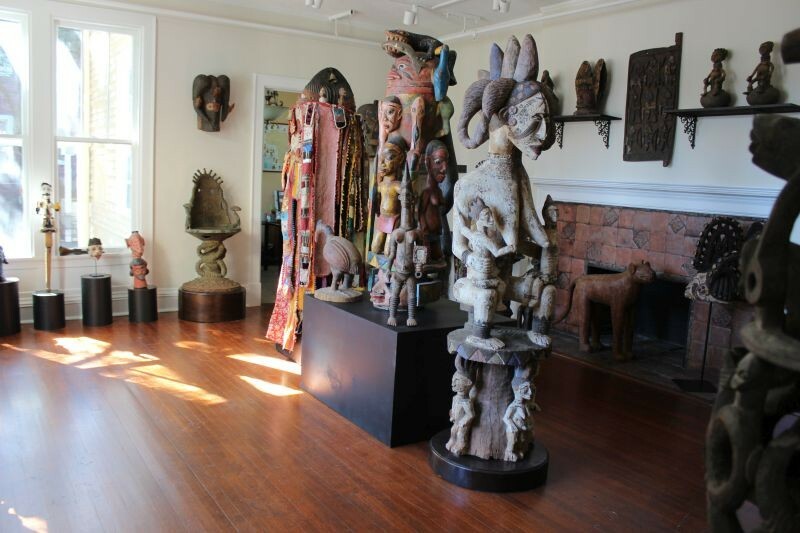 The Savannah African Art Museum is located at 201 E. 37th St. Hours are Wed.-Sat. from 11 a.m. to 5 p.m. Individual admission is free, and group rates are available. For more information, contact the museum at 912-721-7745.